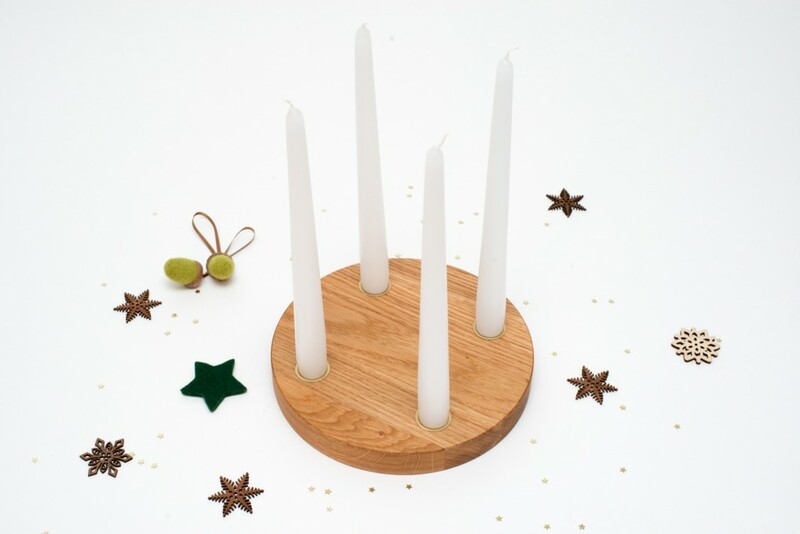 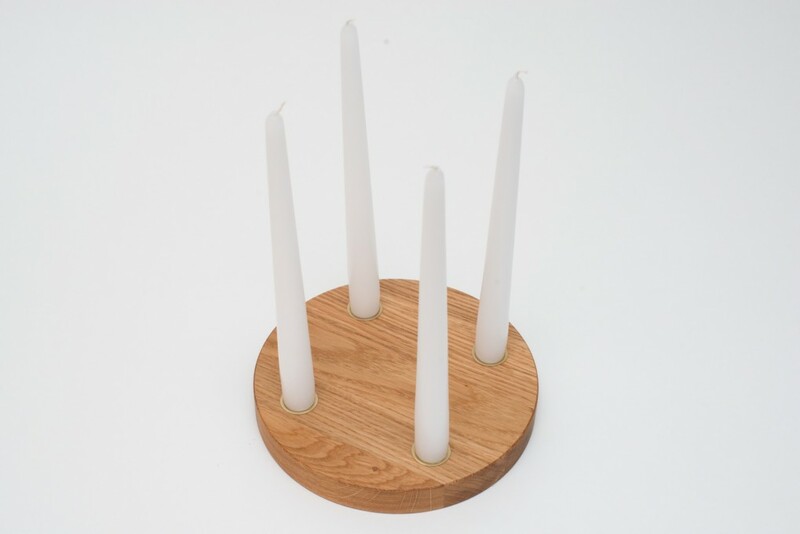 For holiday ambience in your home try our small Advent accessory. 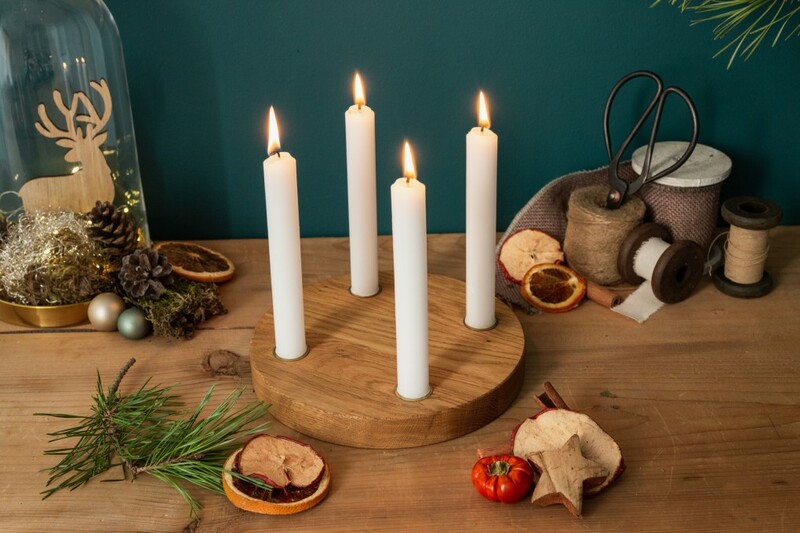 Light a taper candle on every Sunday of Advent and look forward to Christmas. 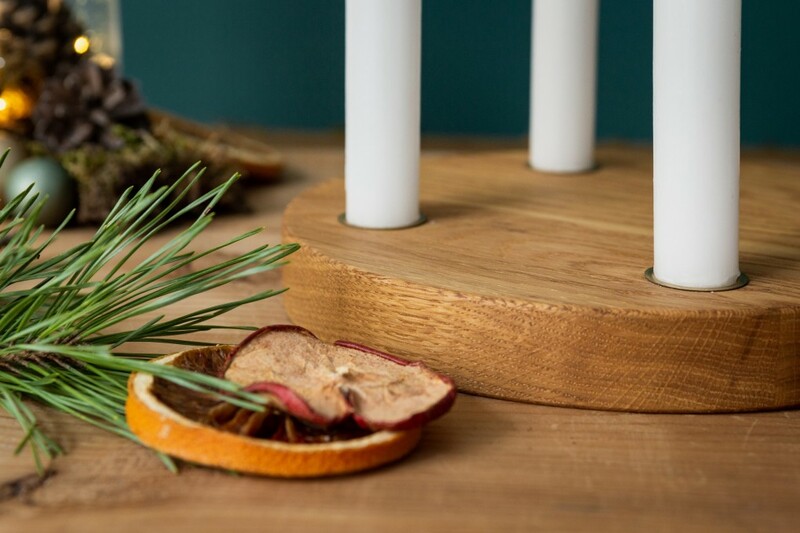 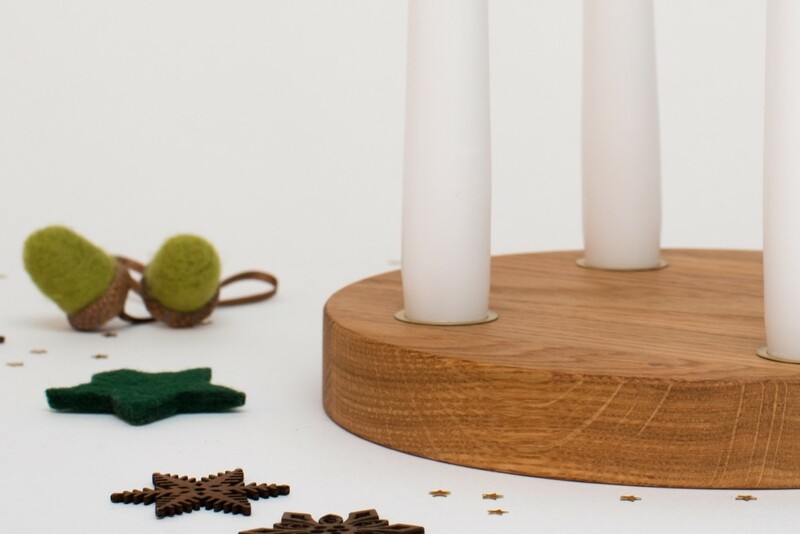 The wooden dish features four indentations for the metal candle holders. 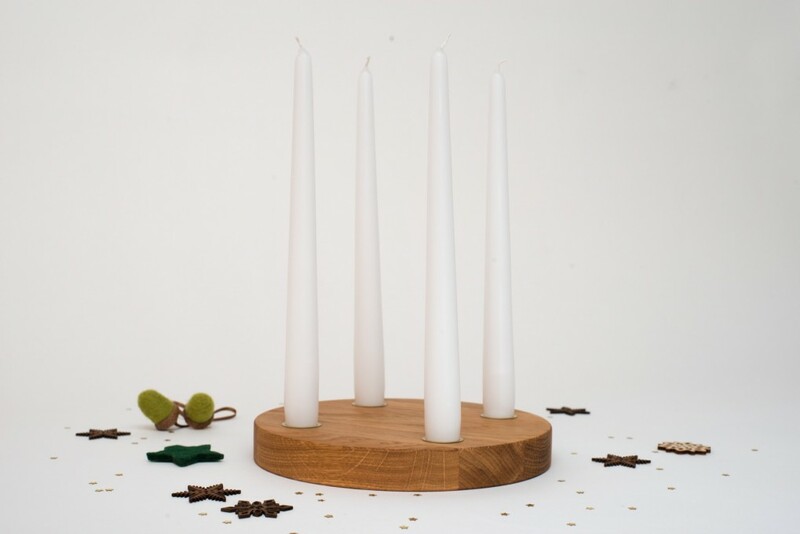 Place standard taper candles in the colour of your choice (not included in delivery) in the metal holders and have a stunning piece of Christmas decoration, year after year.